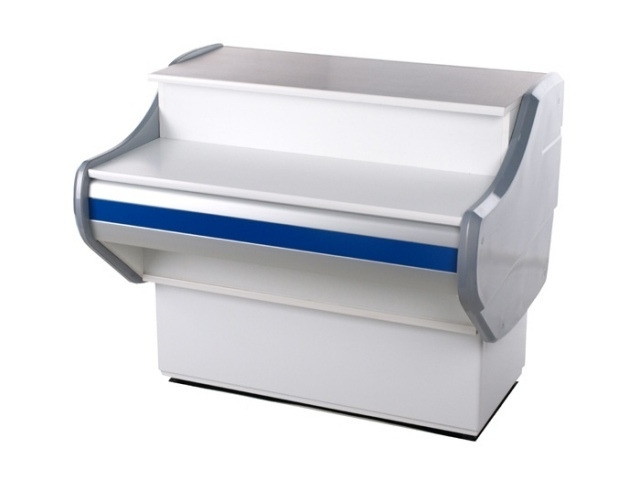 The cash counter is equipped with laminated worktop, white basis and adjustable levelling legs. Colour of the decorative strip is available in the given RAL colours – it’s standard accessory. Colour of the basis is available in the given RAL colours too – it’s option.